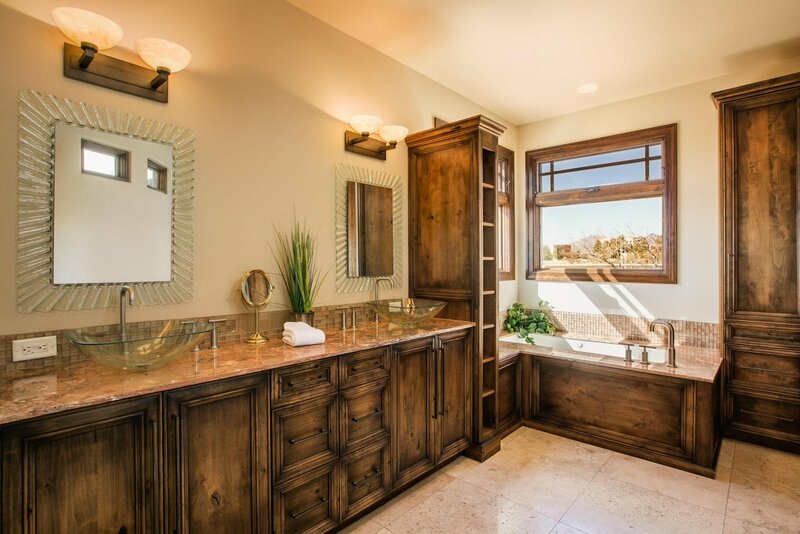 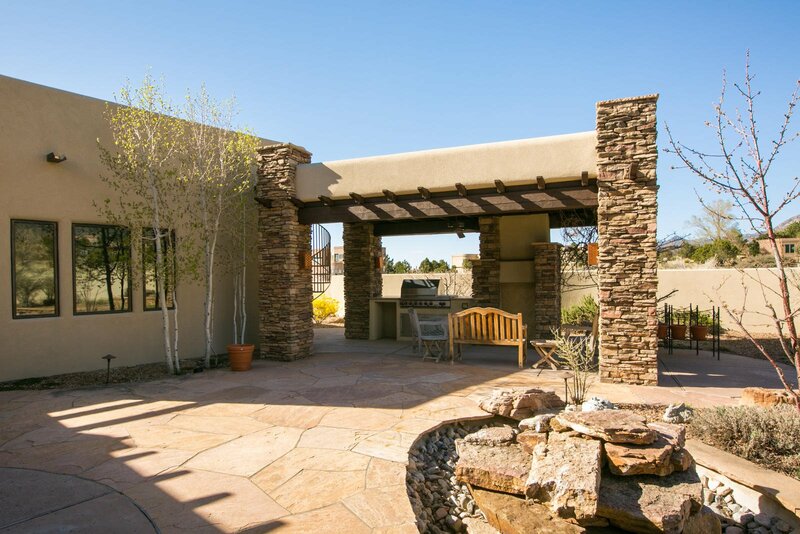 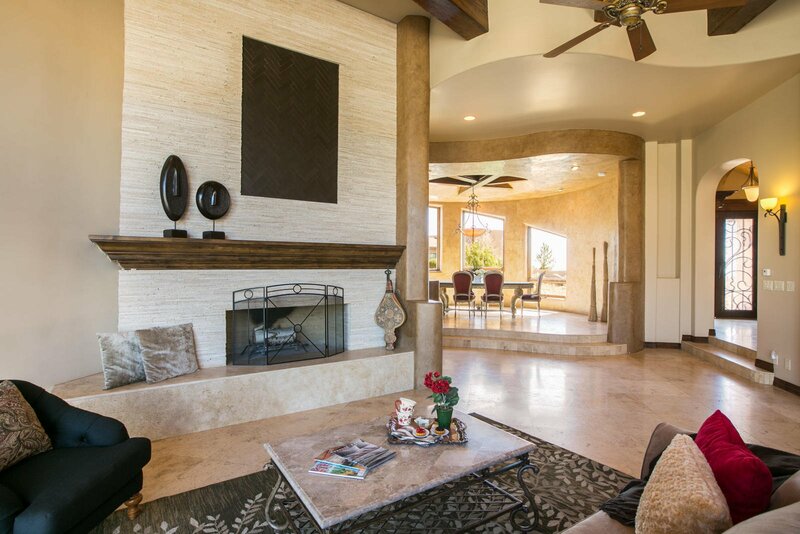 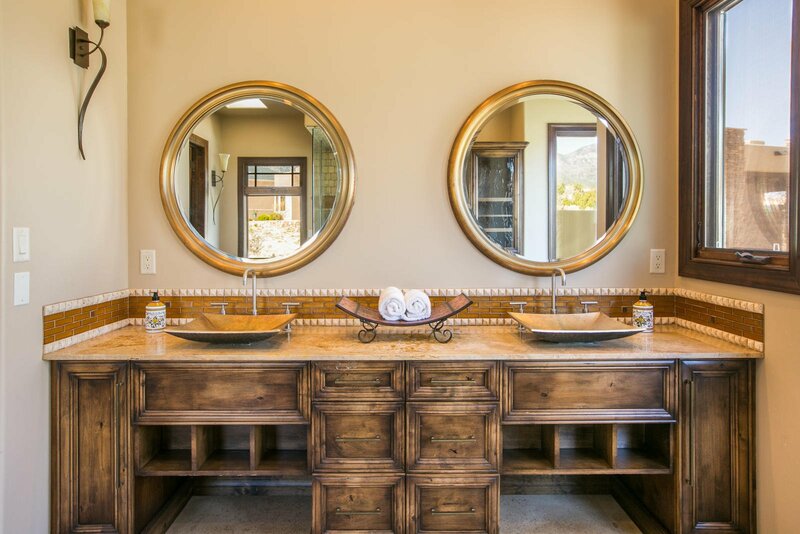 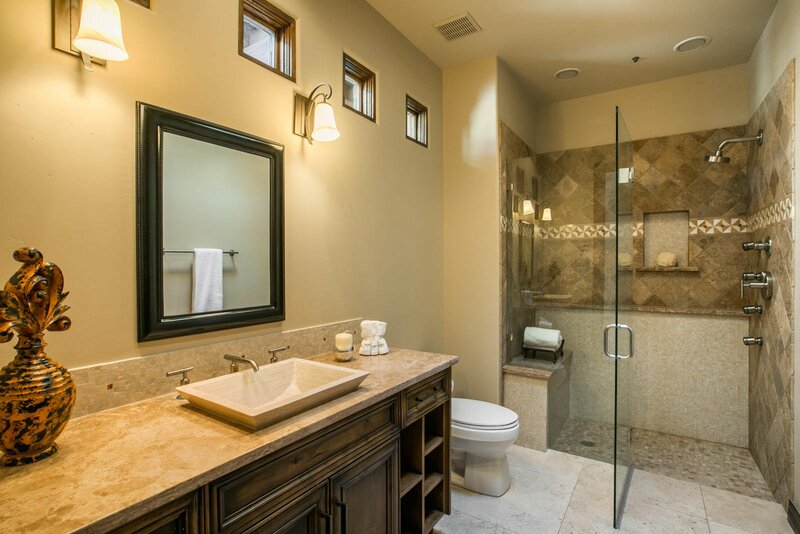 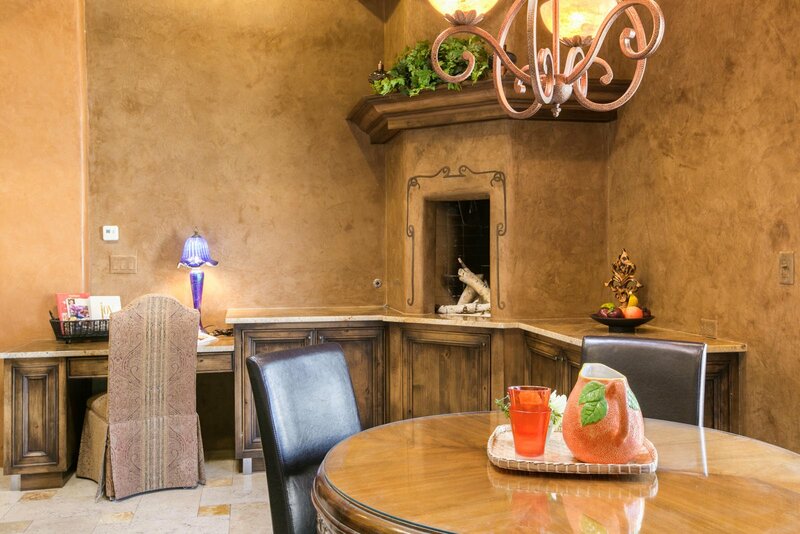 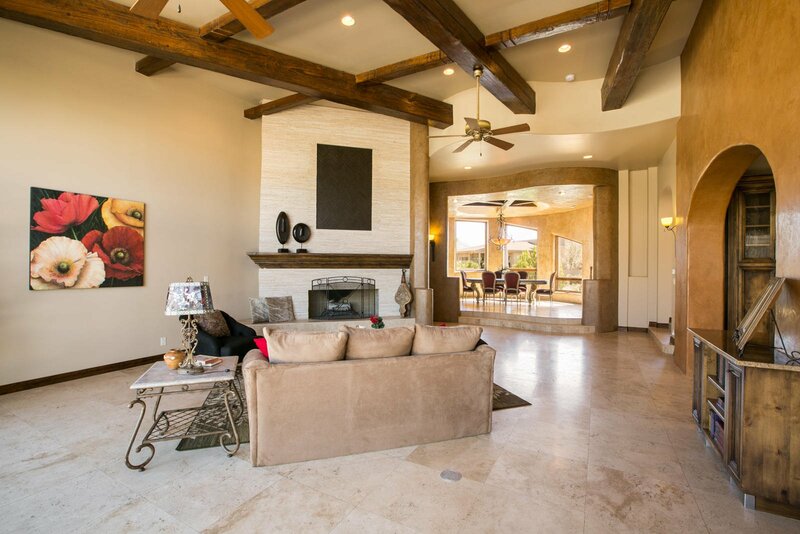 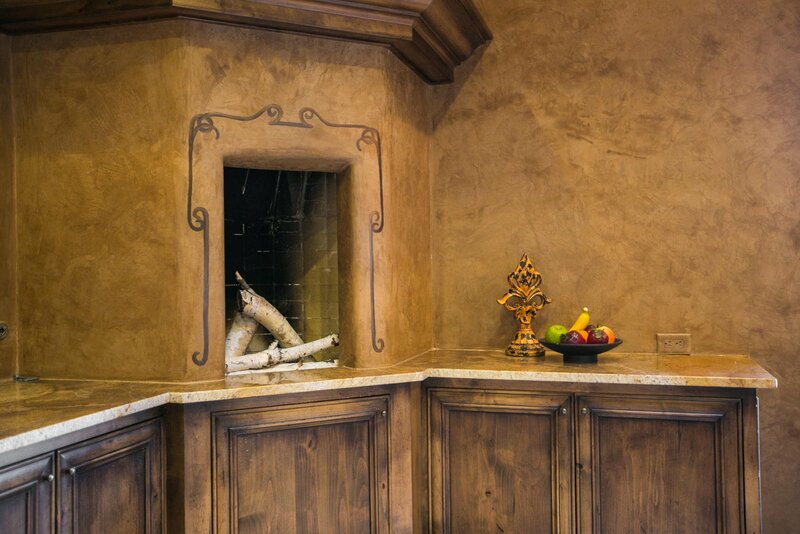 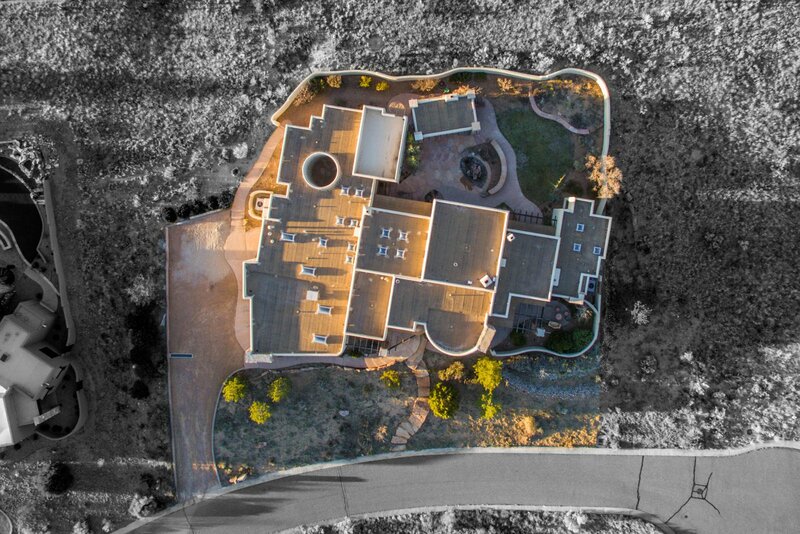 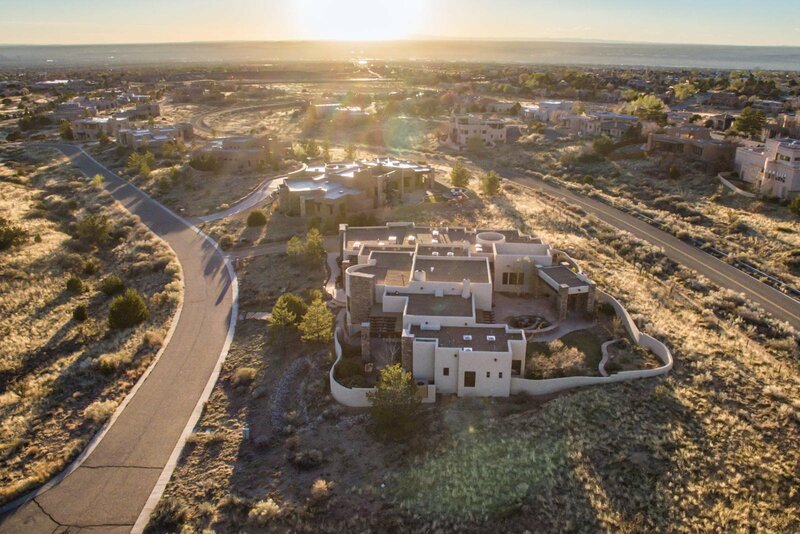 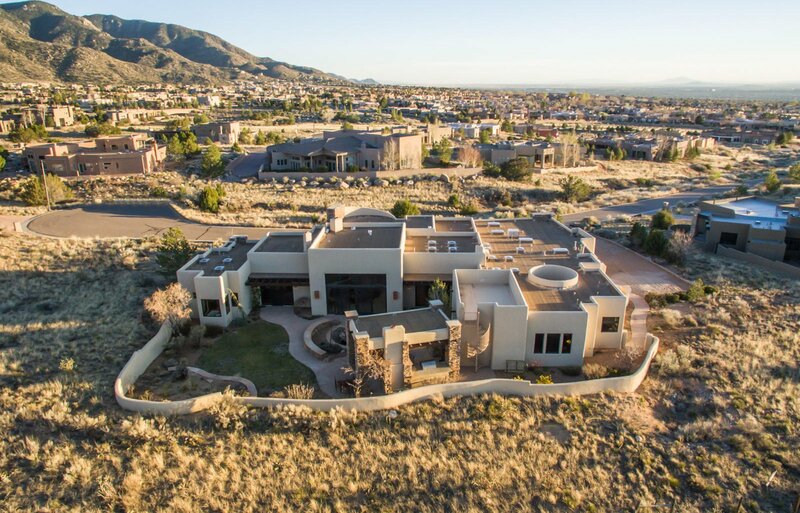 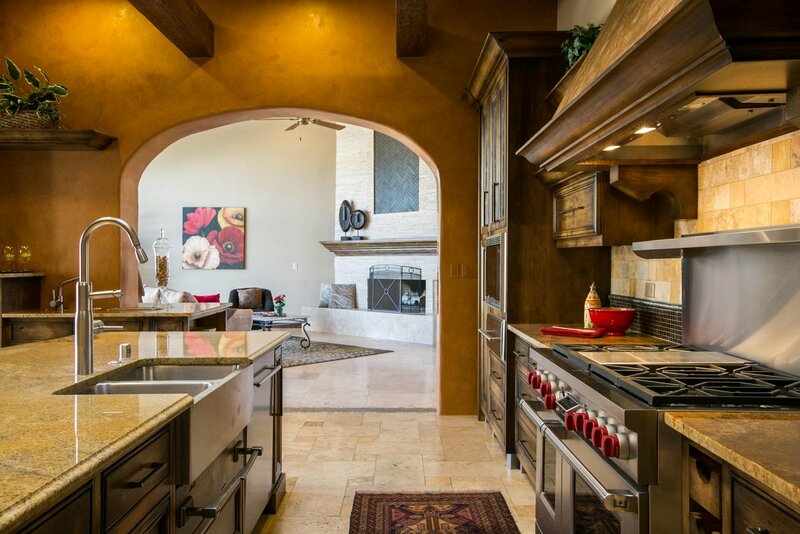 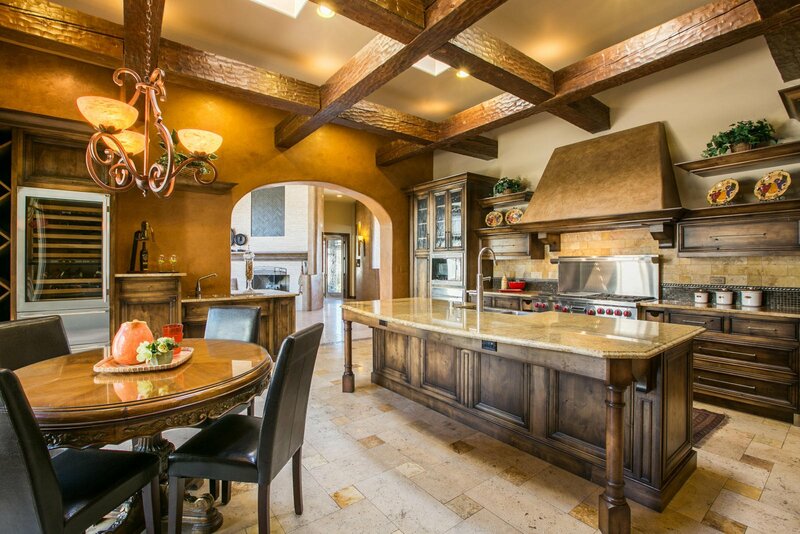 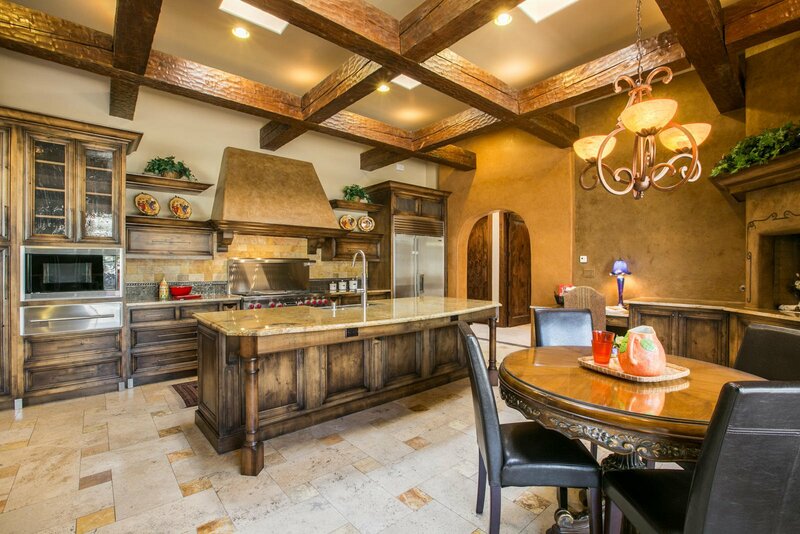 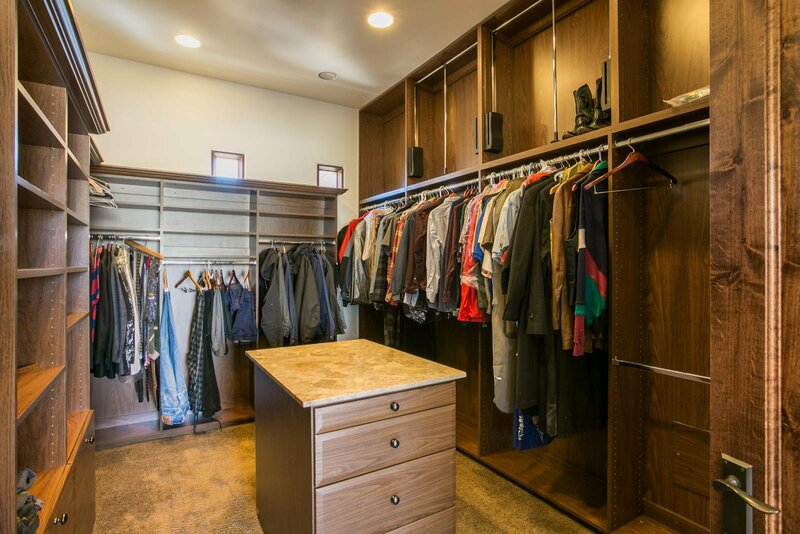 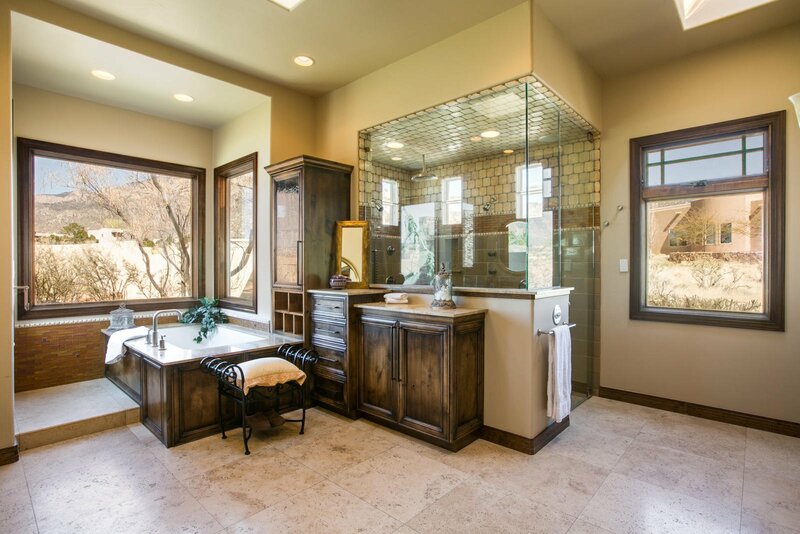 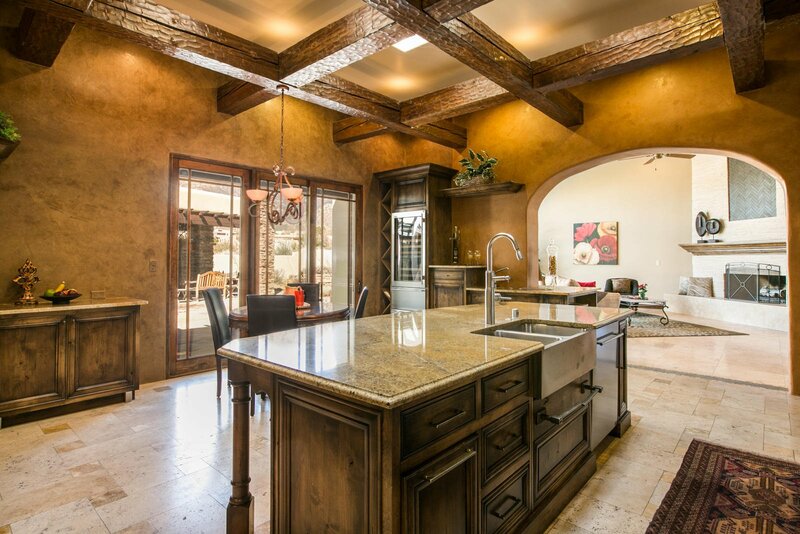 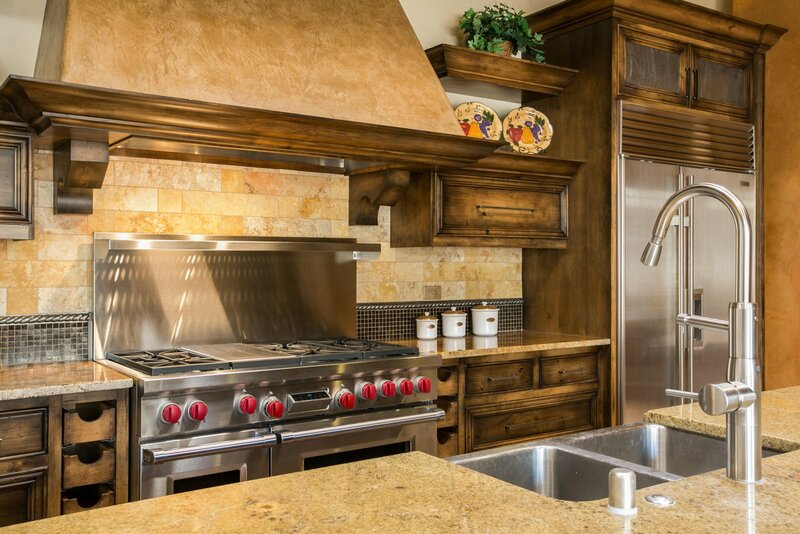 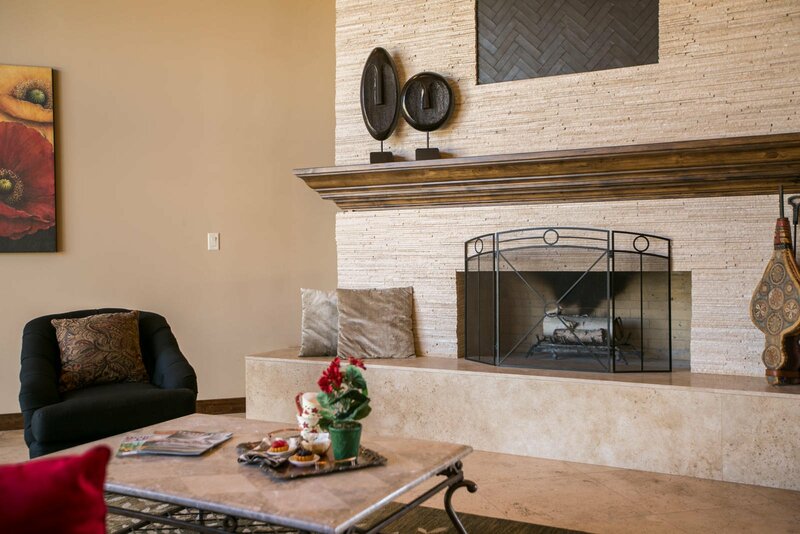 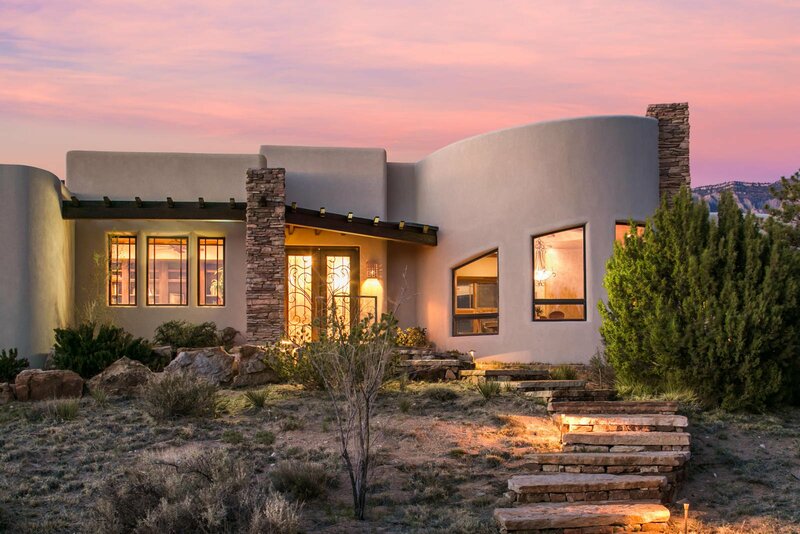 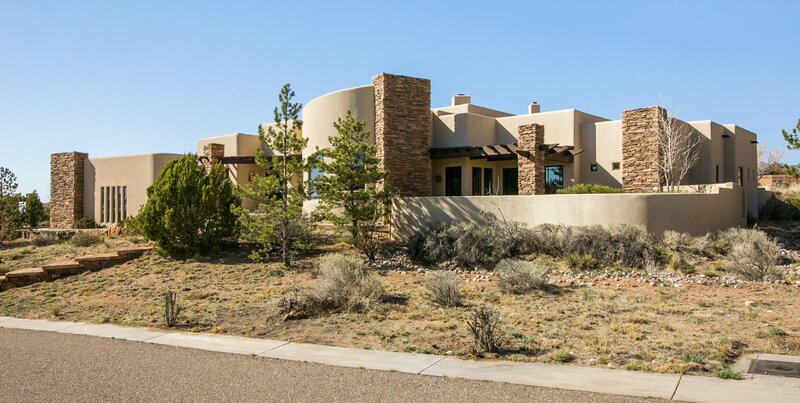 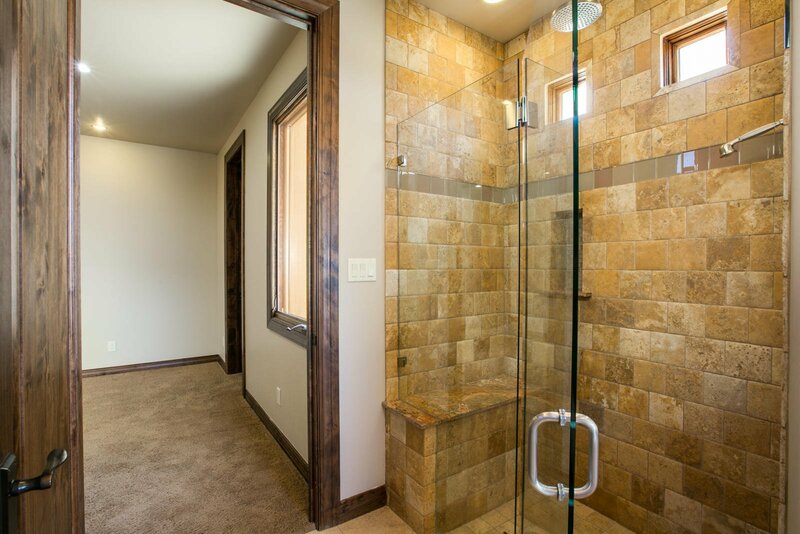 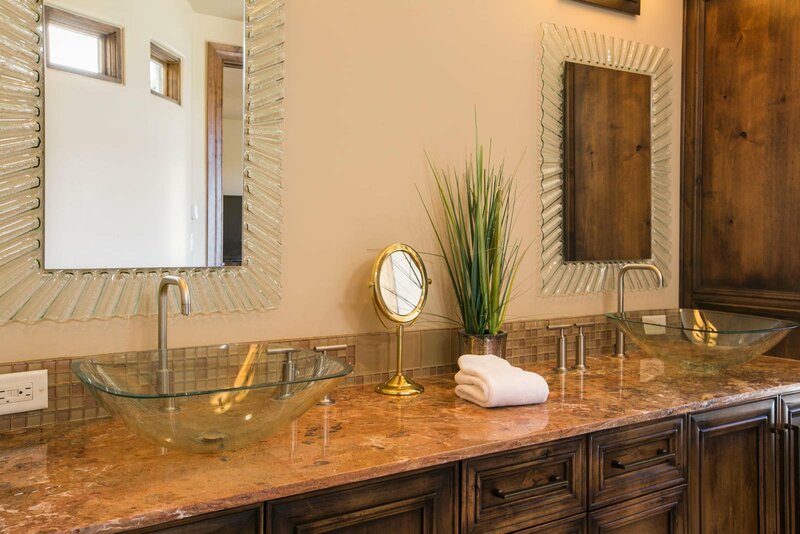 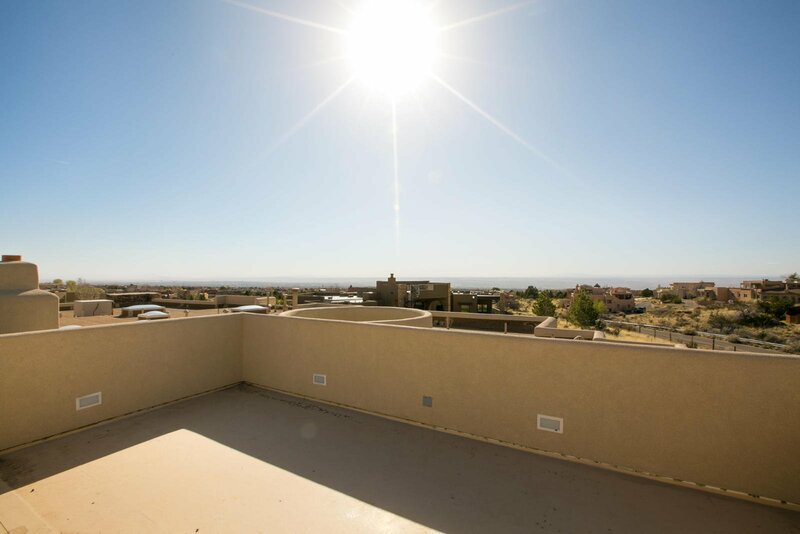 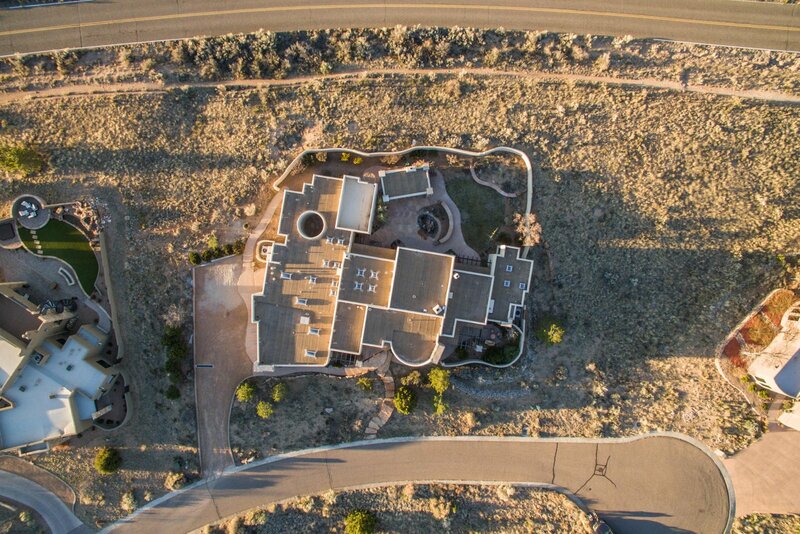 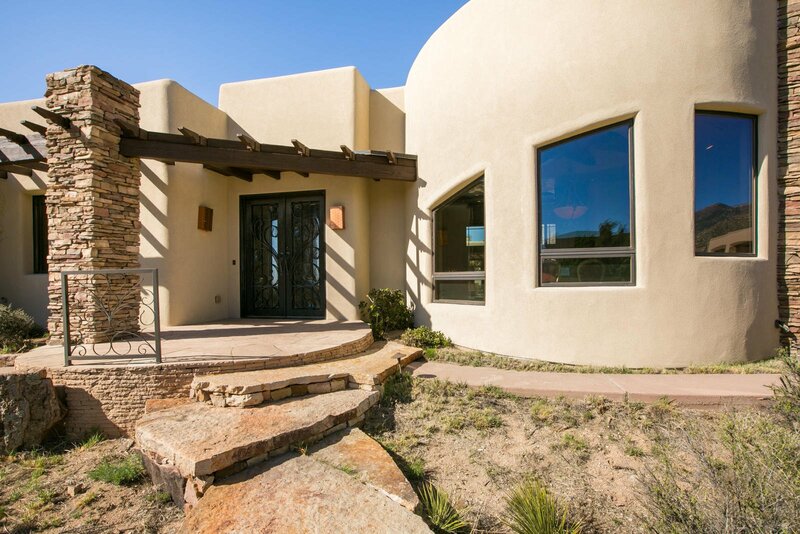 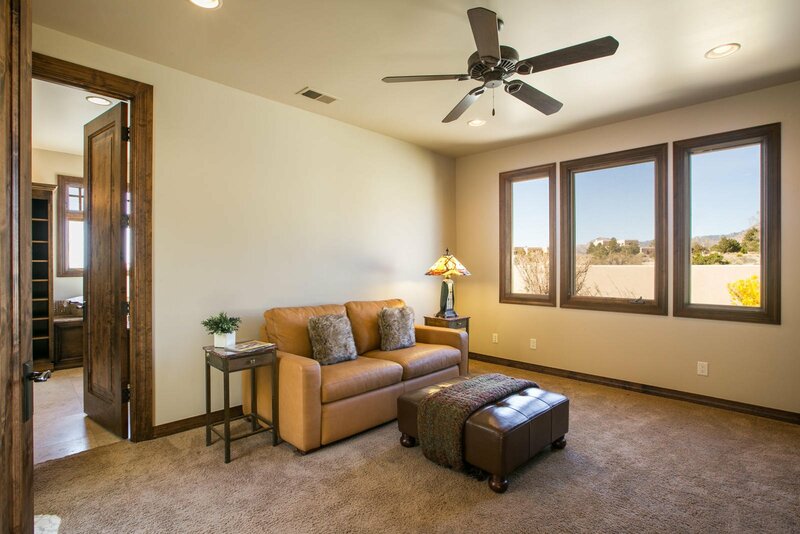 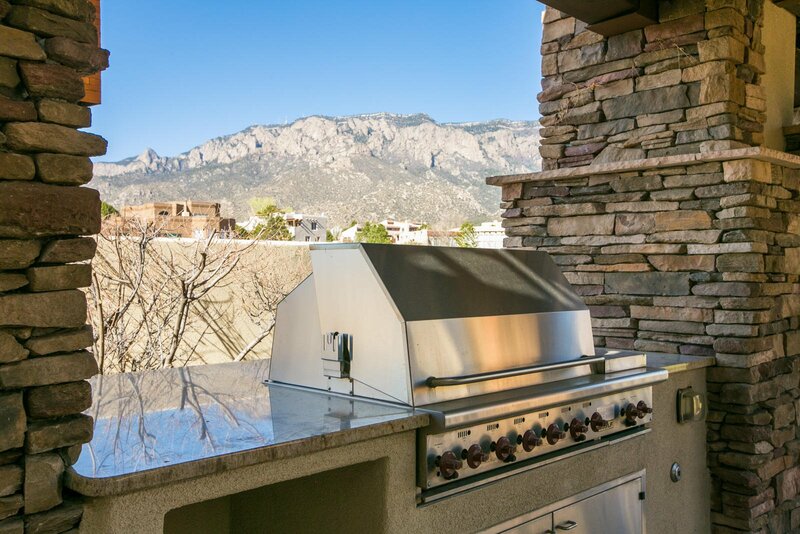 High Desert Luxury at is finest! 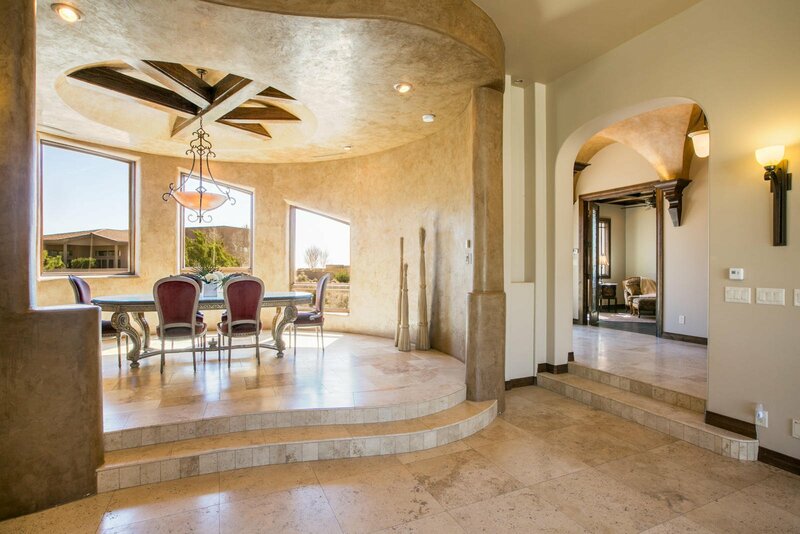 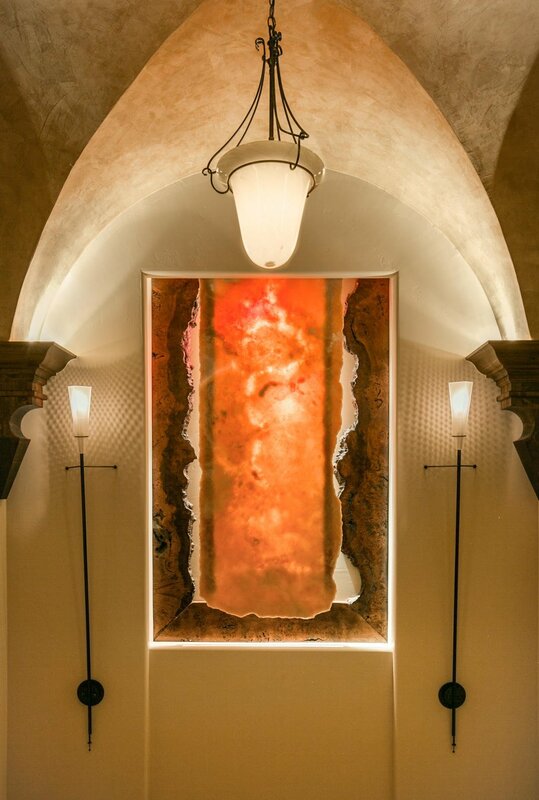 Stunning architecture throughout this amazing property. 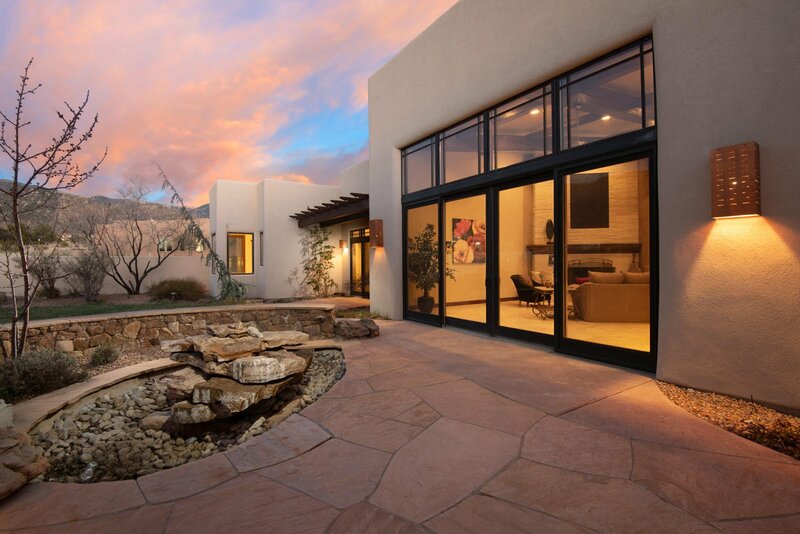 Fabulous curb appeal. 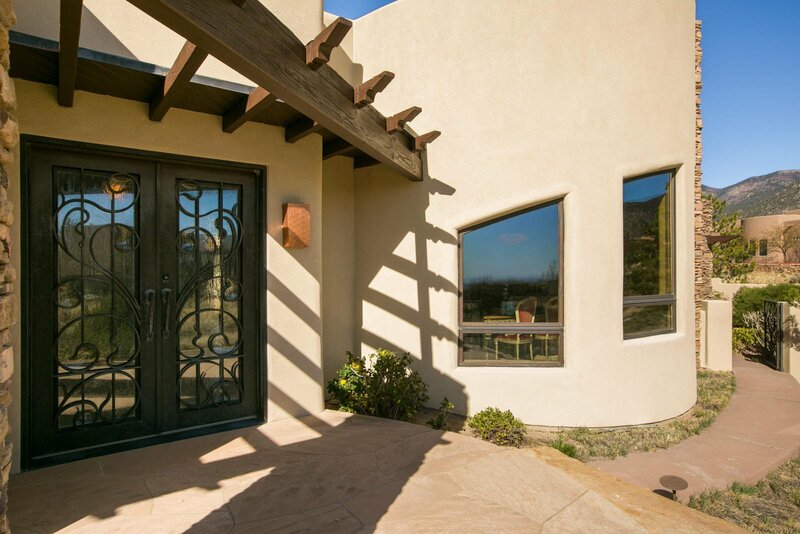 Copper exterior doors and windows await you at the entrance. 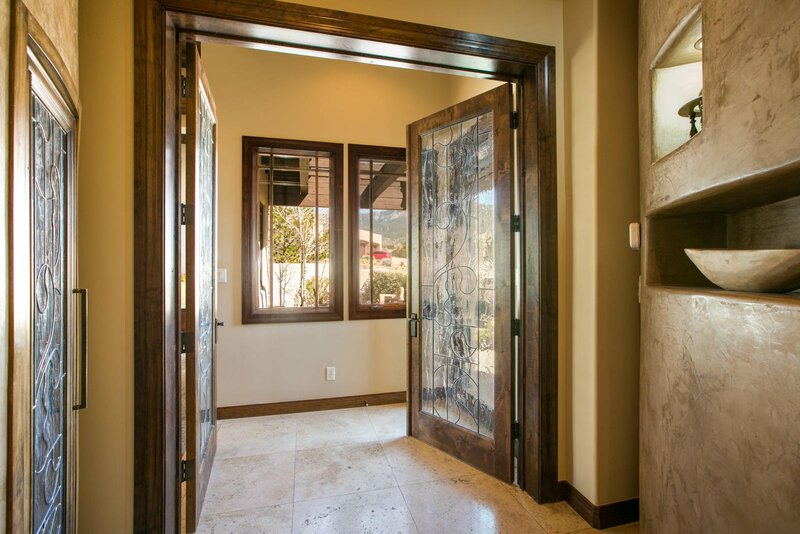 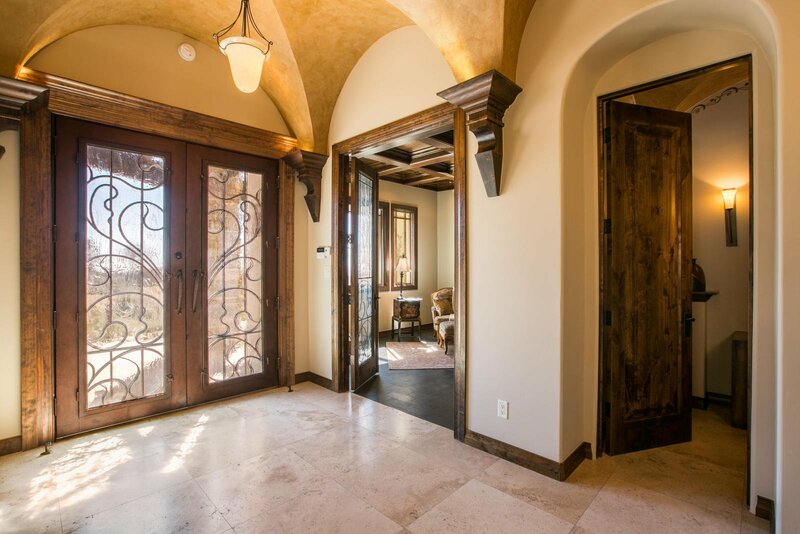 Stop in the foyer and take note of the ceilings, Art Deco lighted wall and thick solid wood doors and trim. 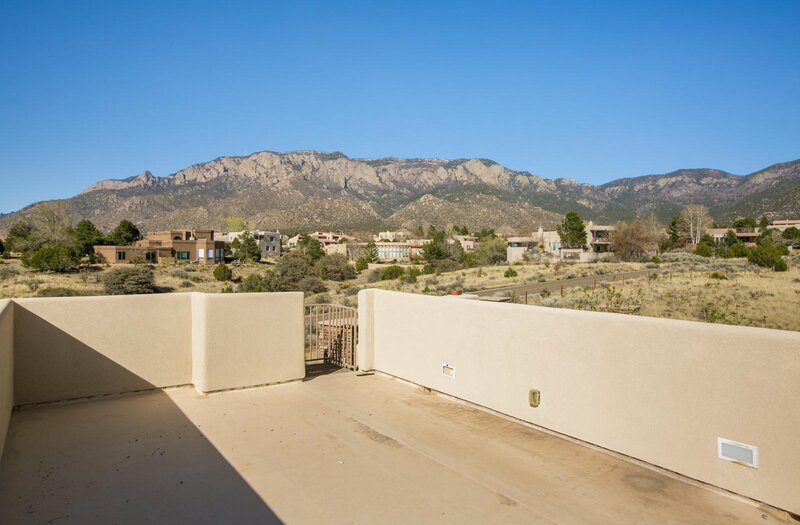 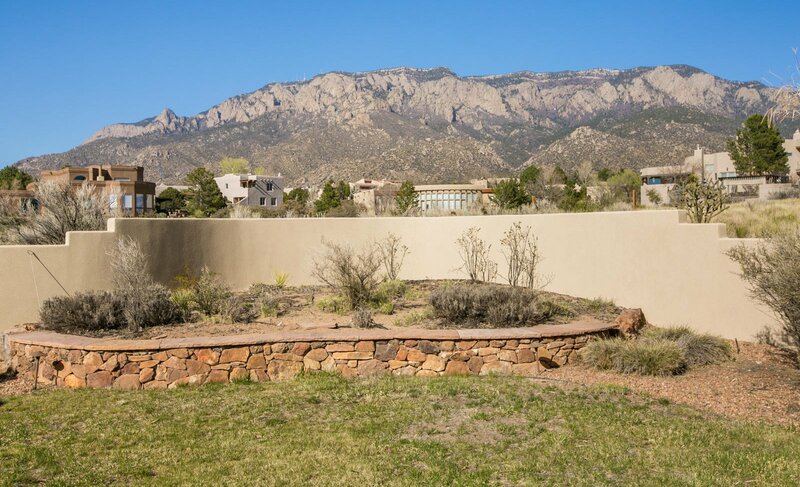 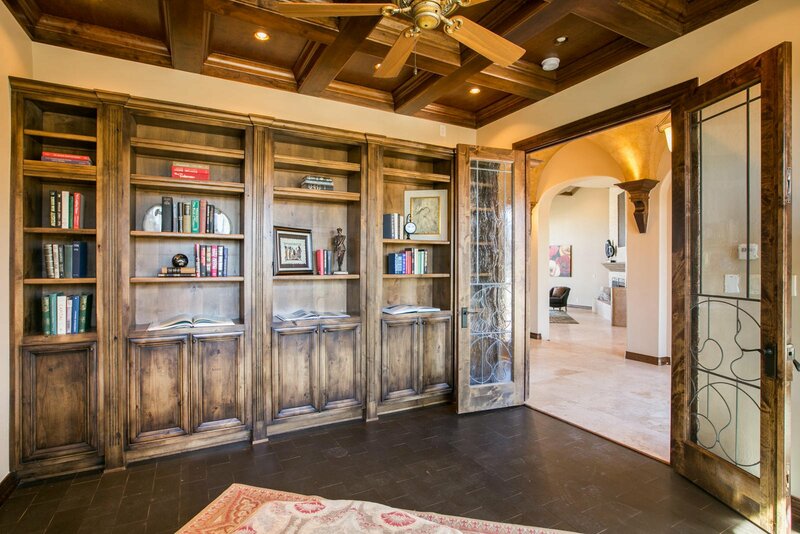 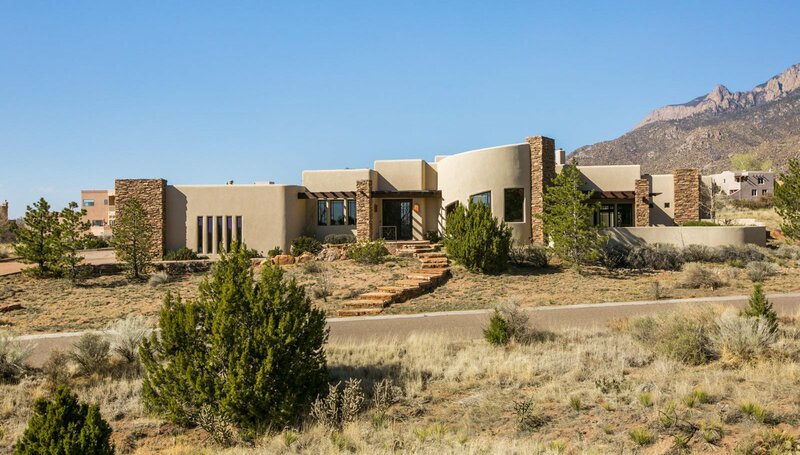 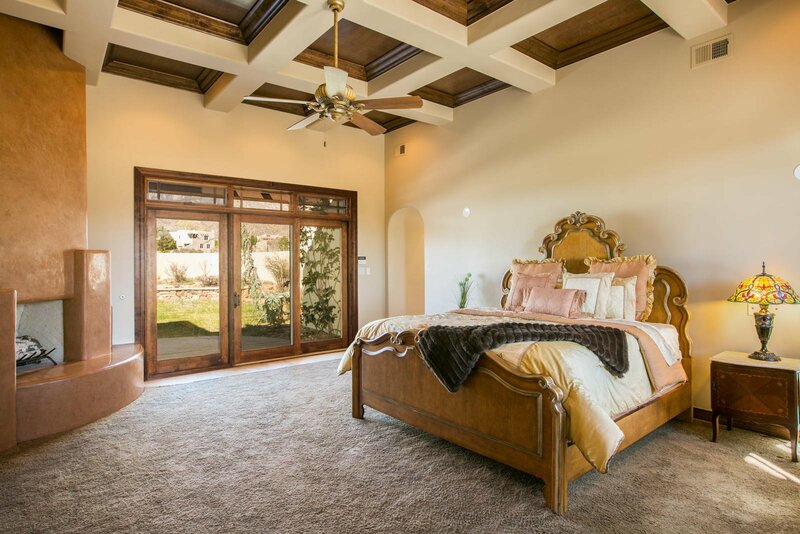 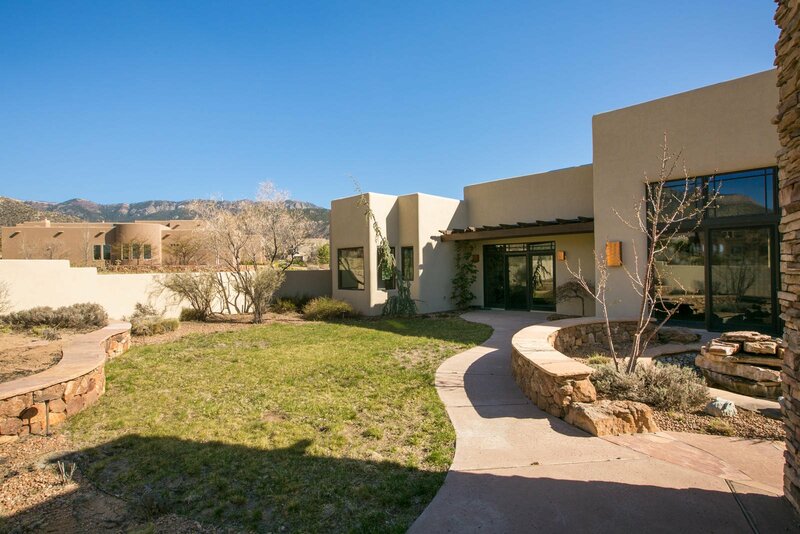 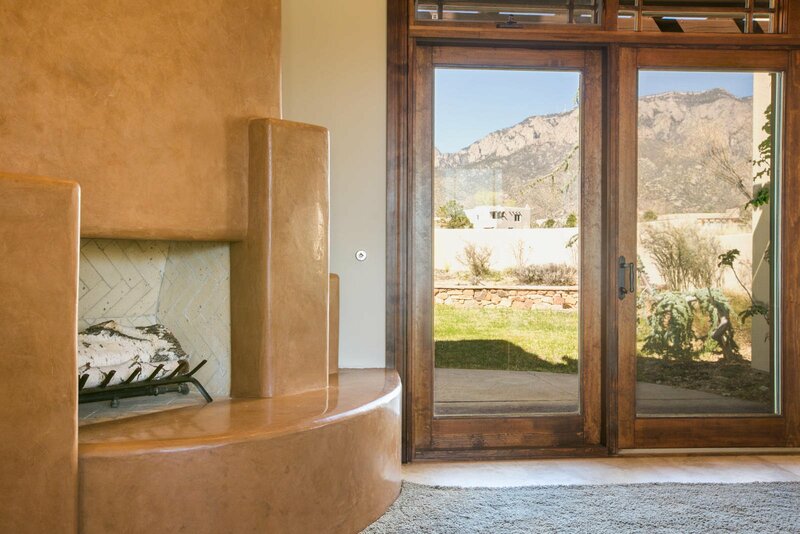 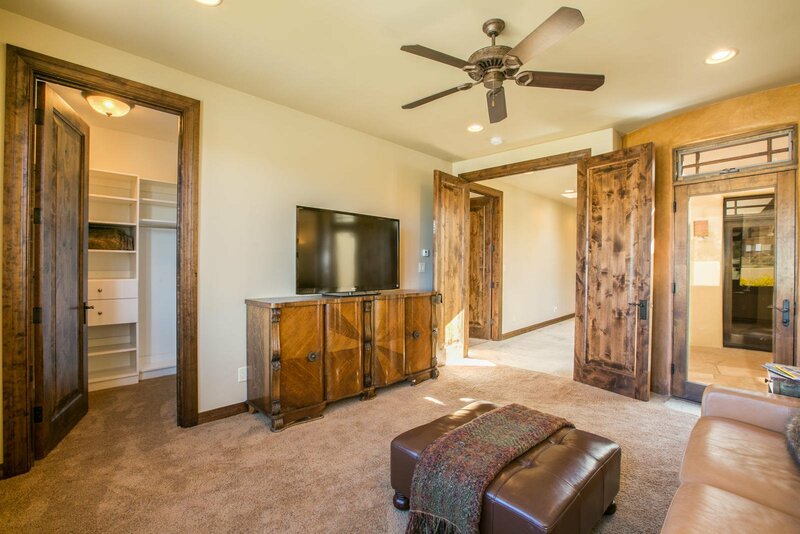 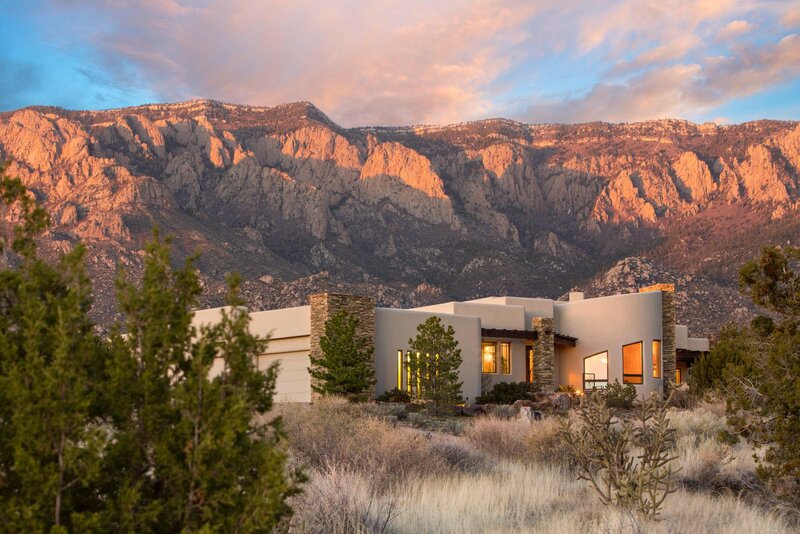 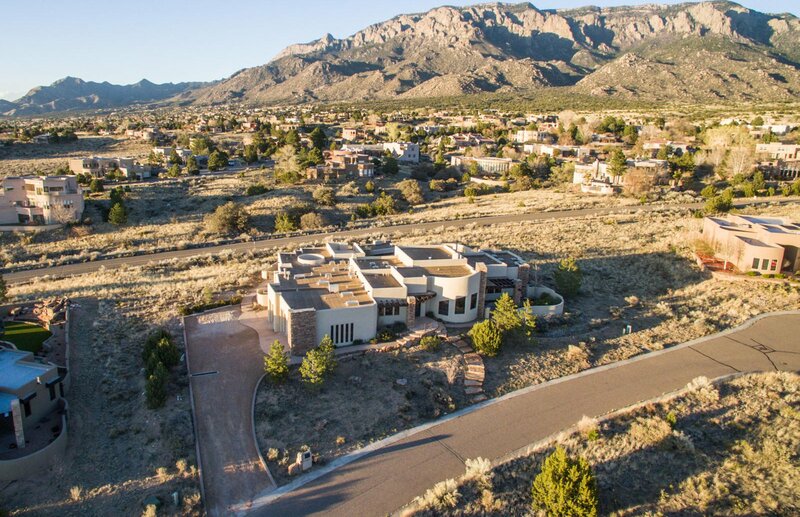 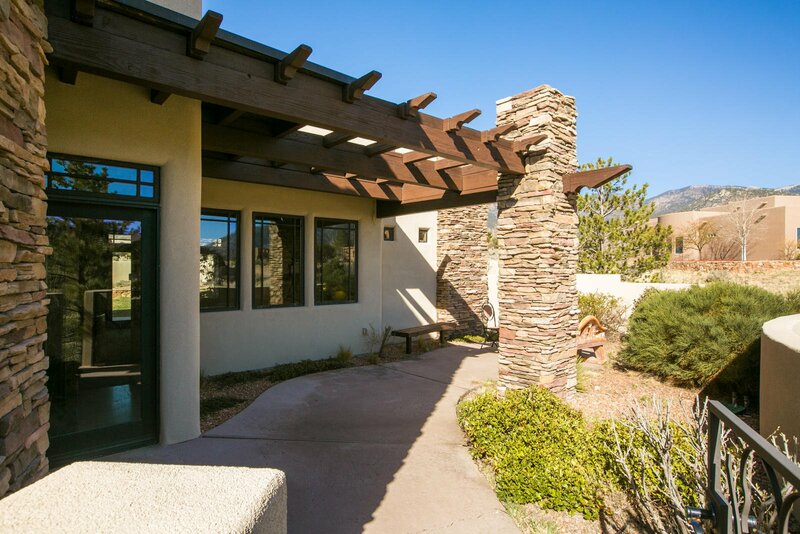 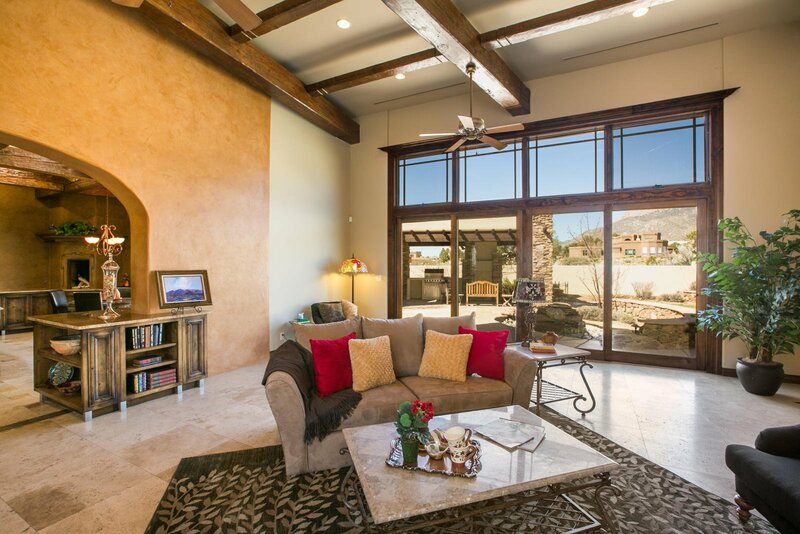 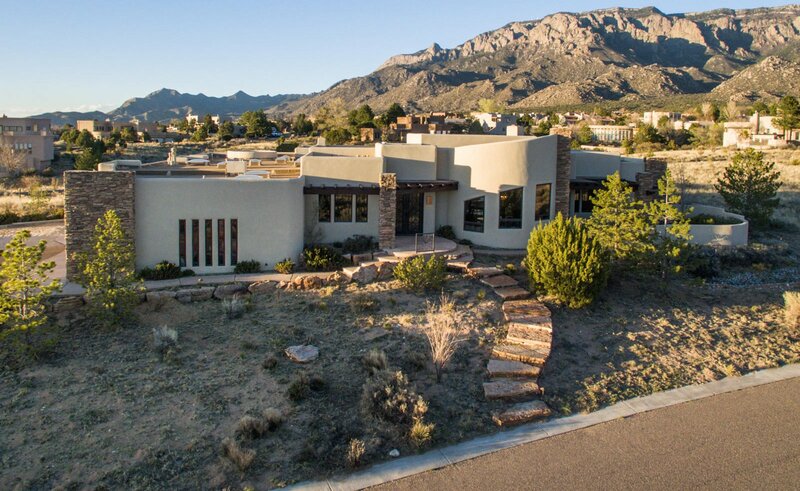 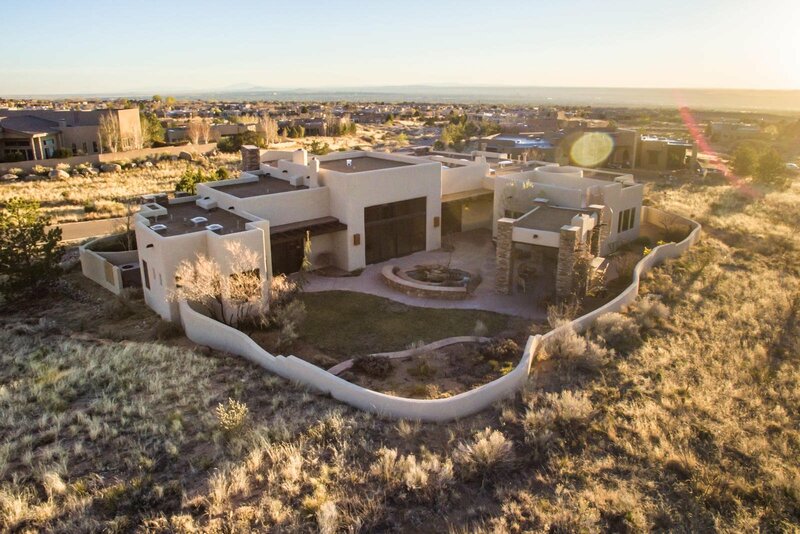 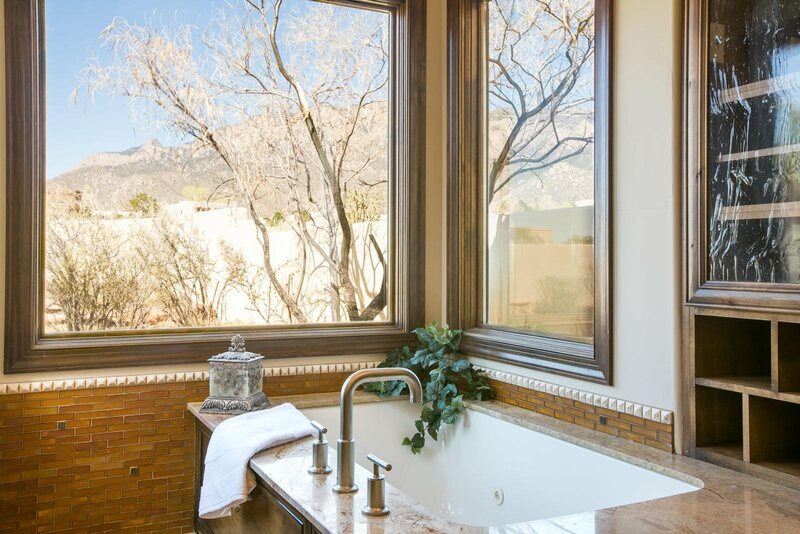 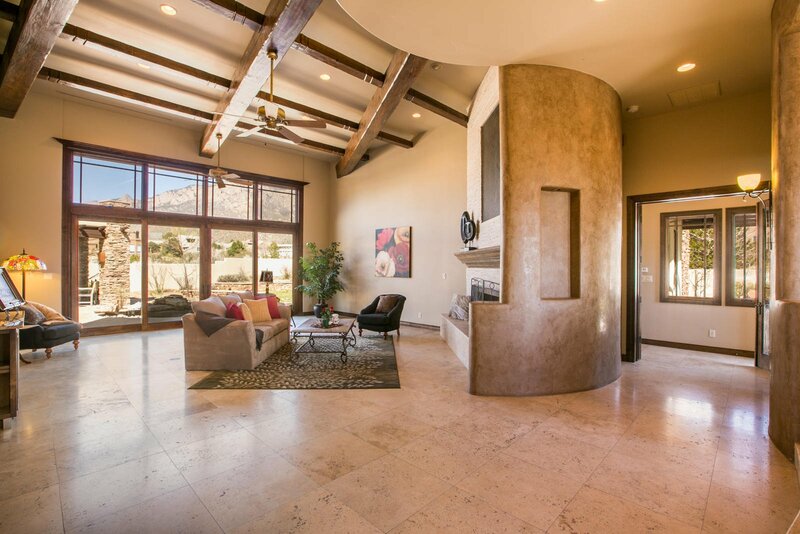 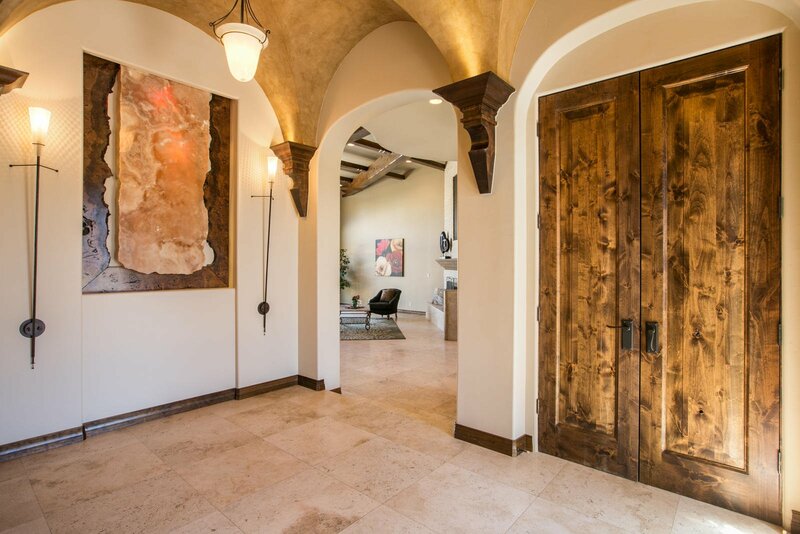 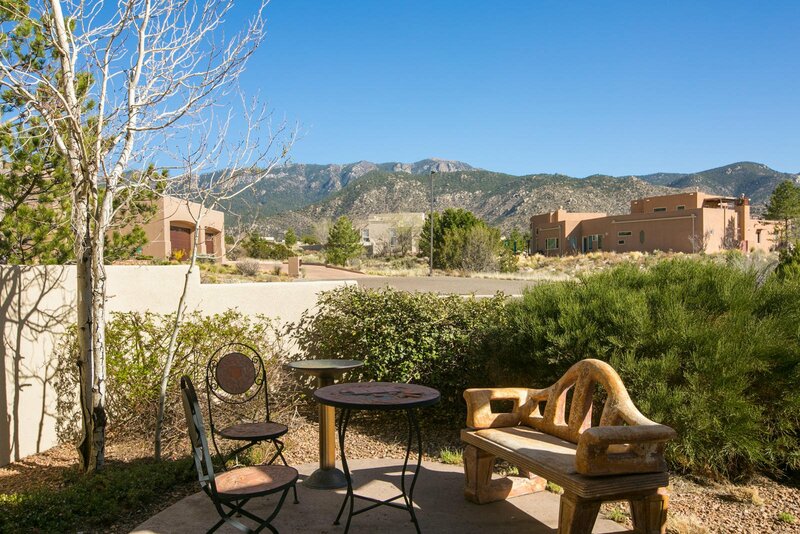 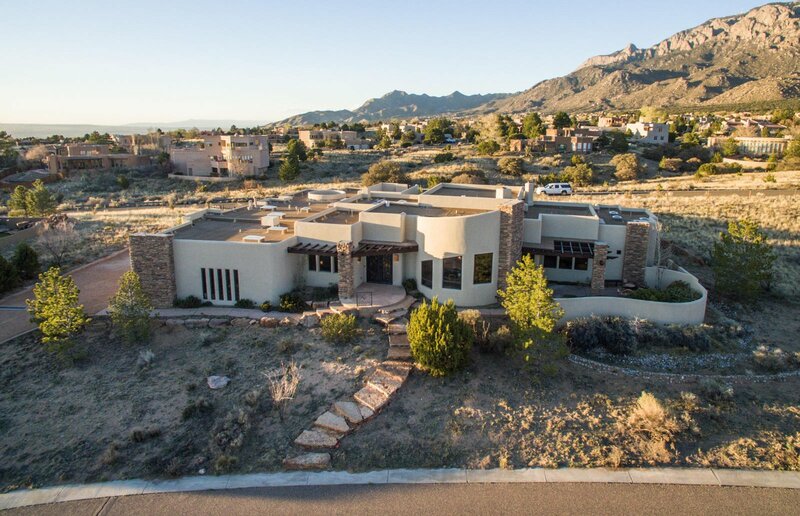 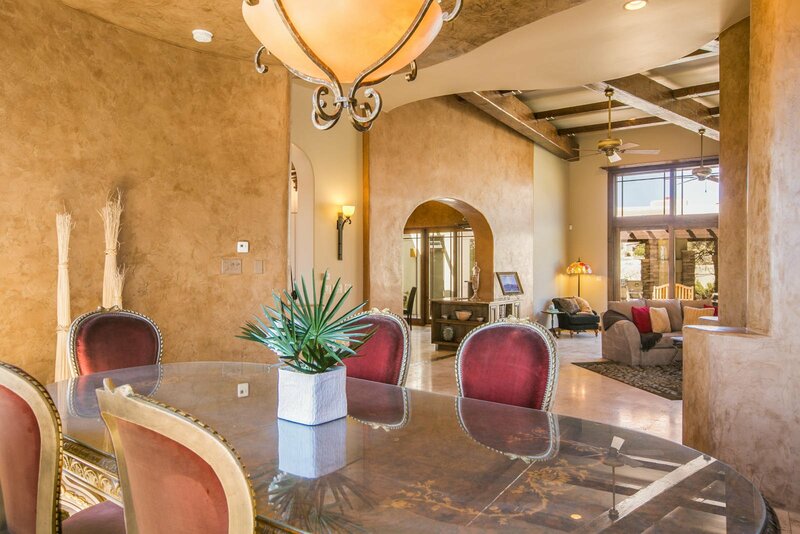 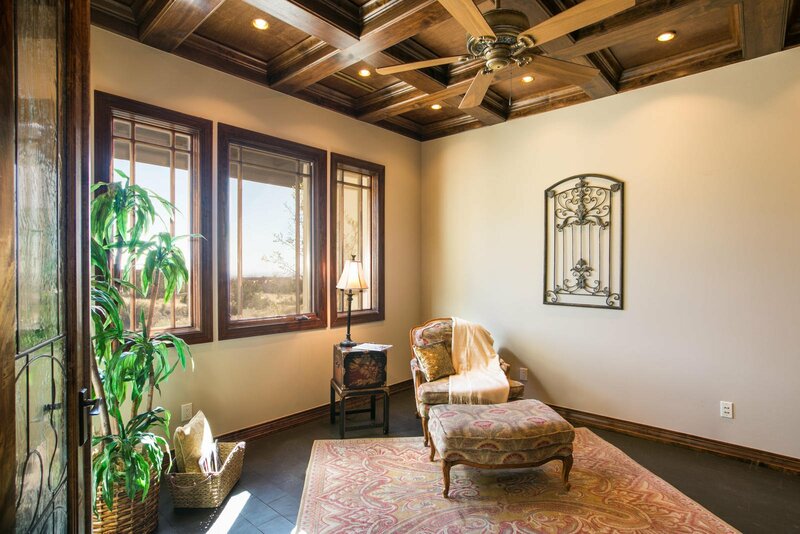 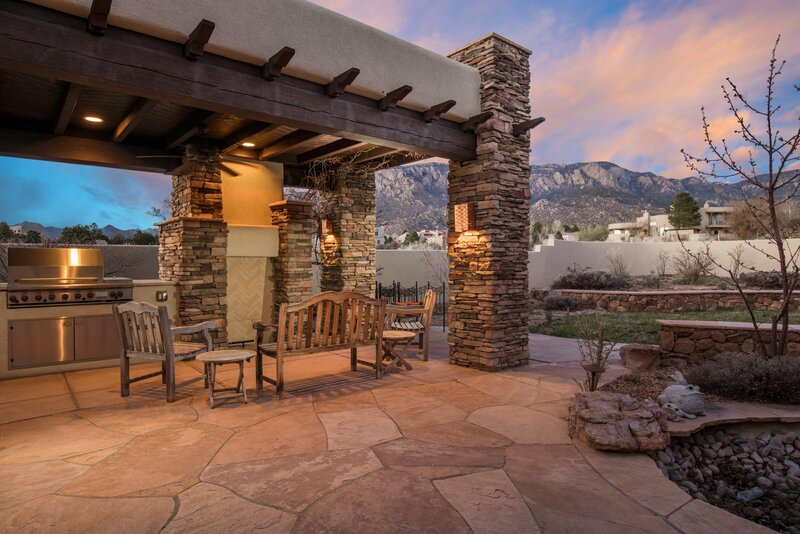 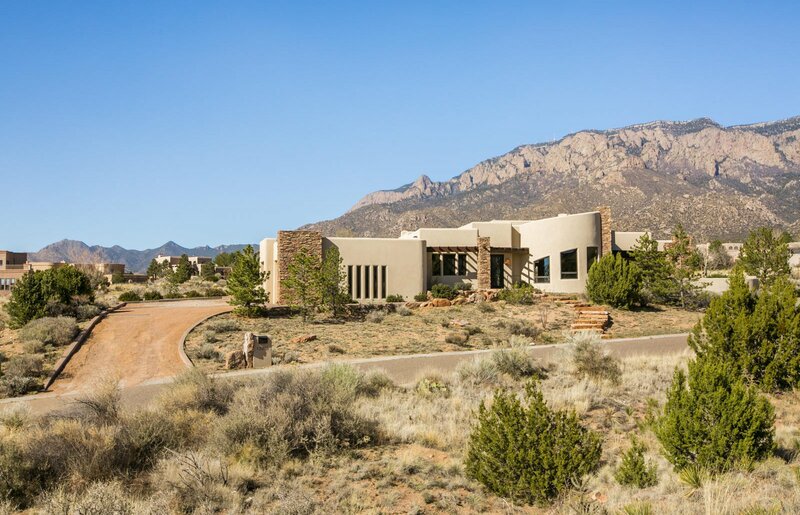 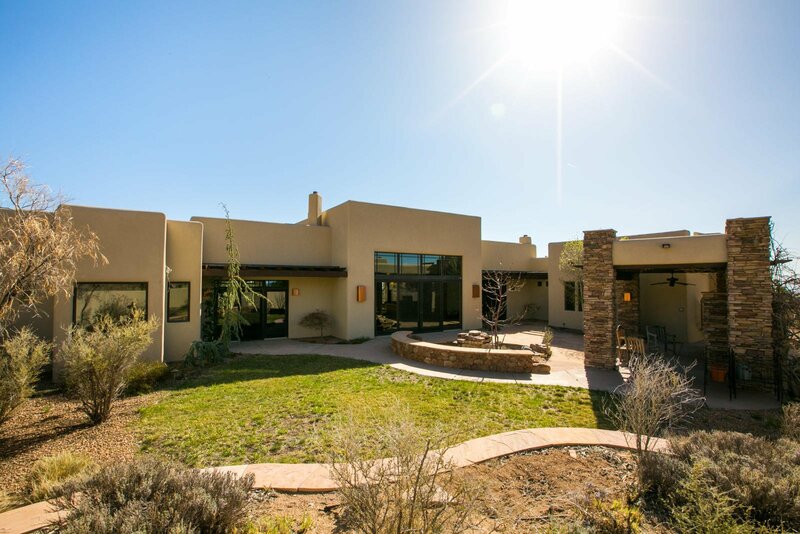 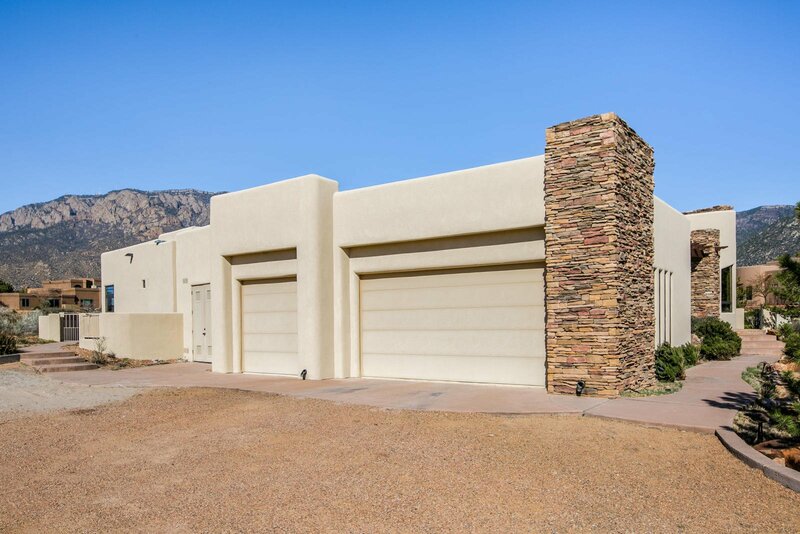 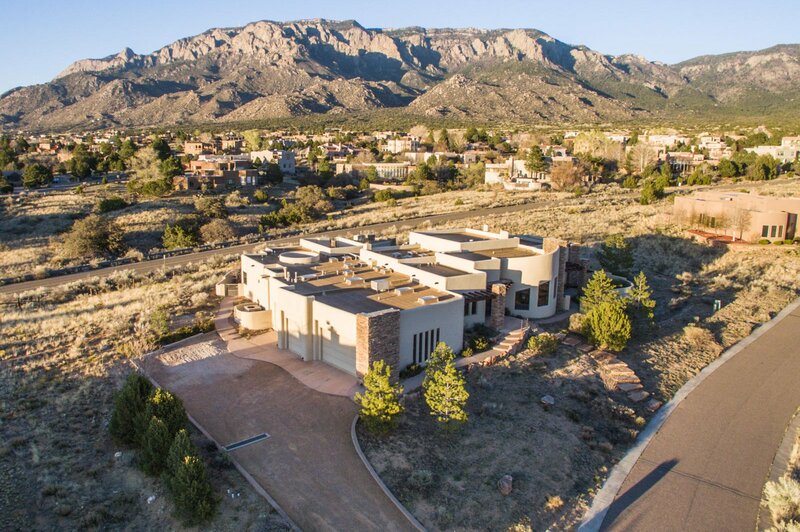 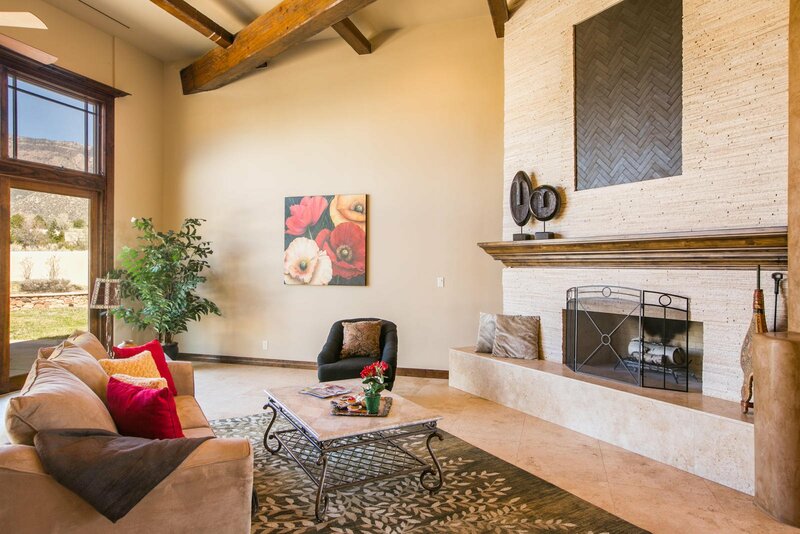 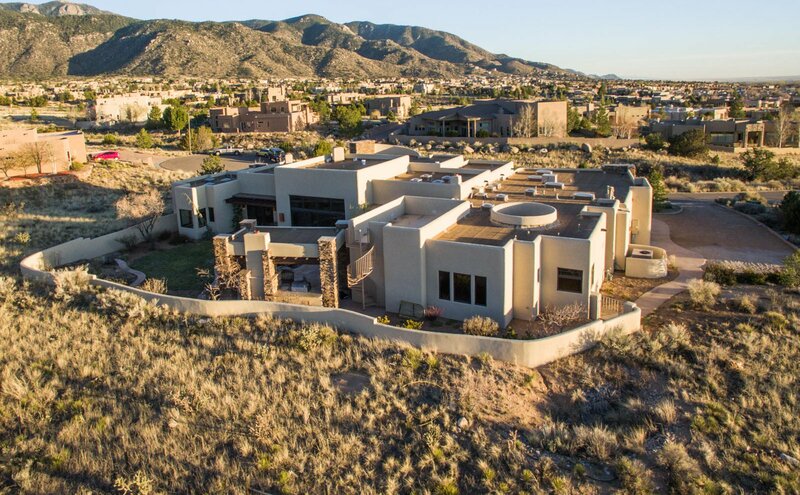 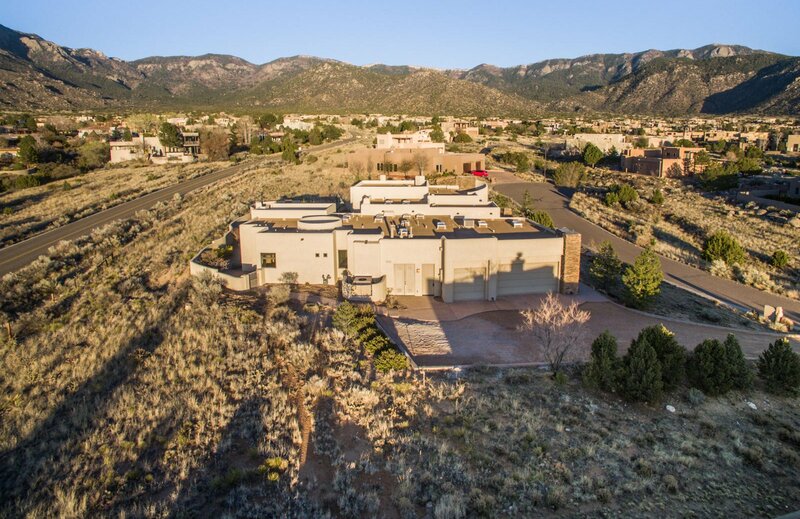 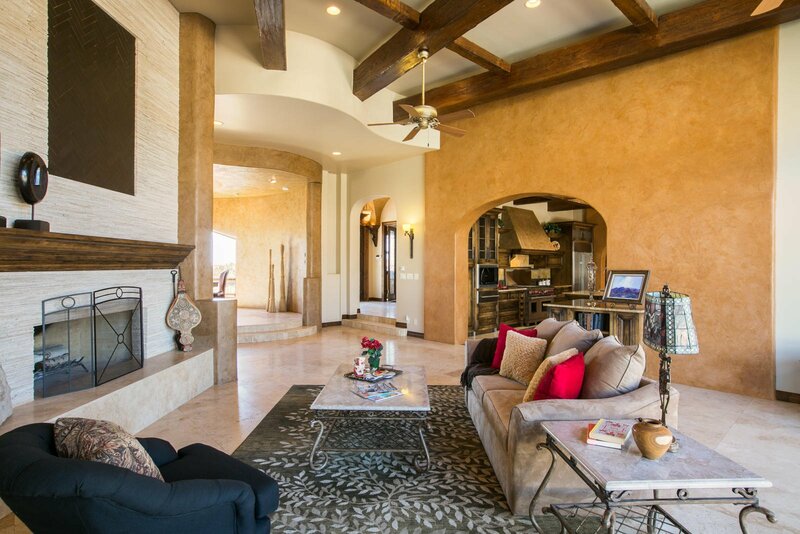 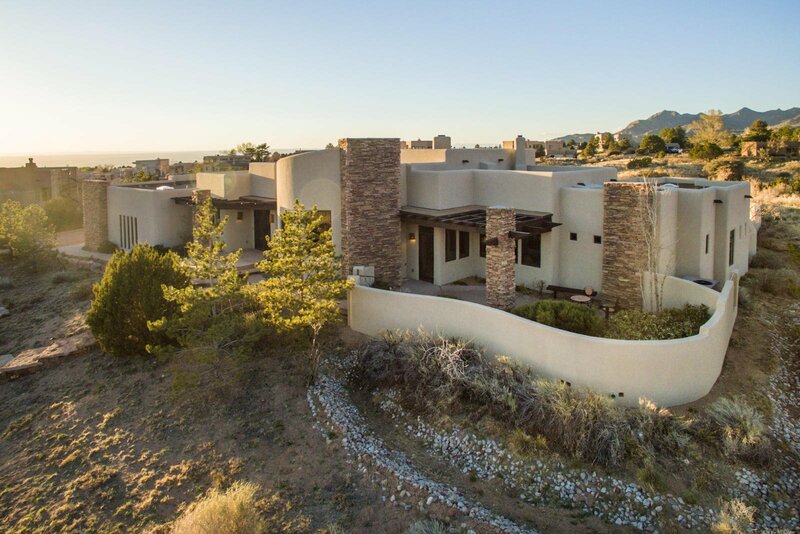 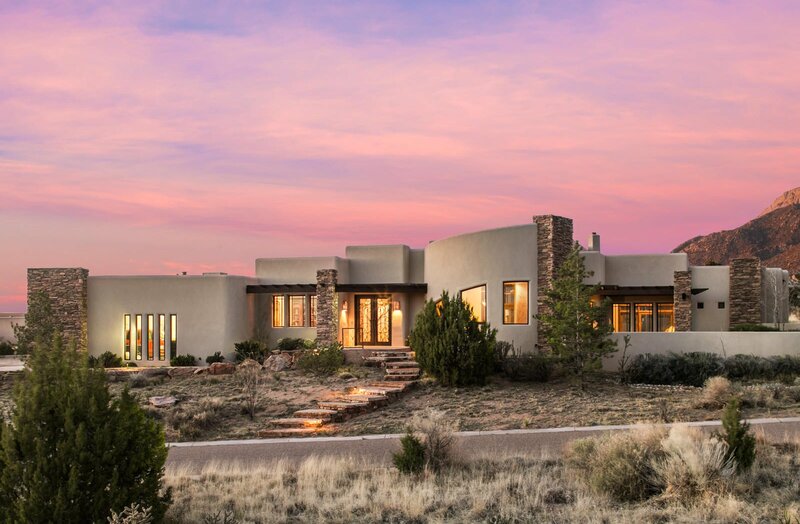 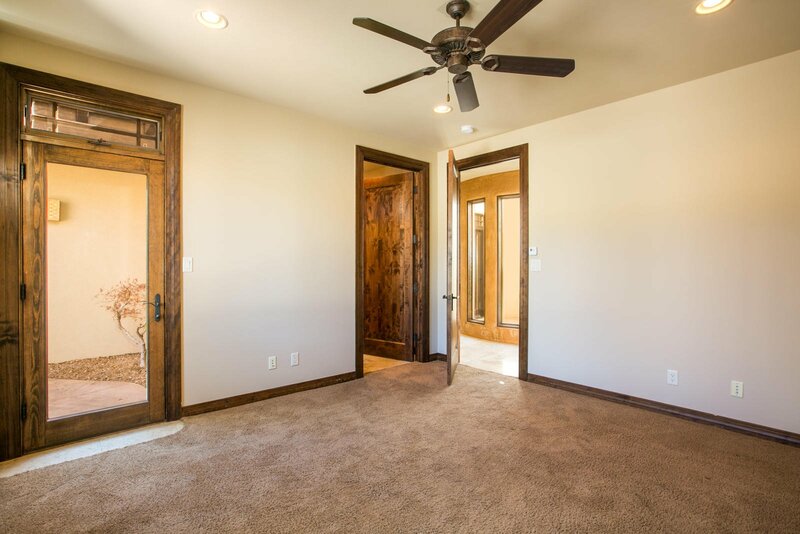 Study offers an exquisite leather floor, bookcase and Grande great room with soaring ceilings, full wall fireplace and of course, majestic views of the Sandia Mountains! 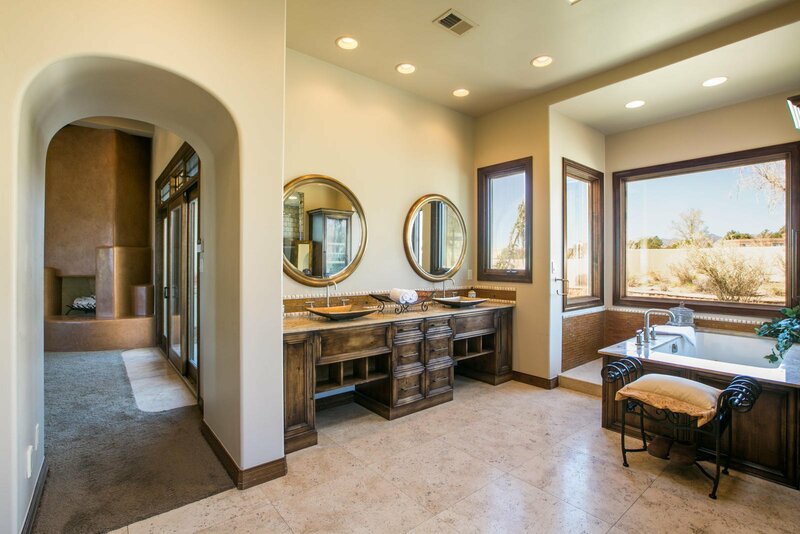 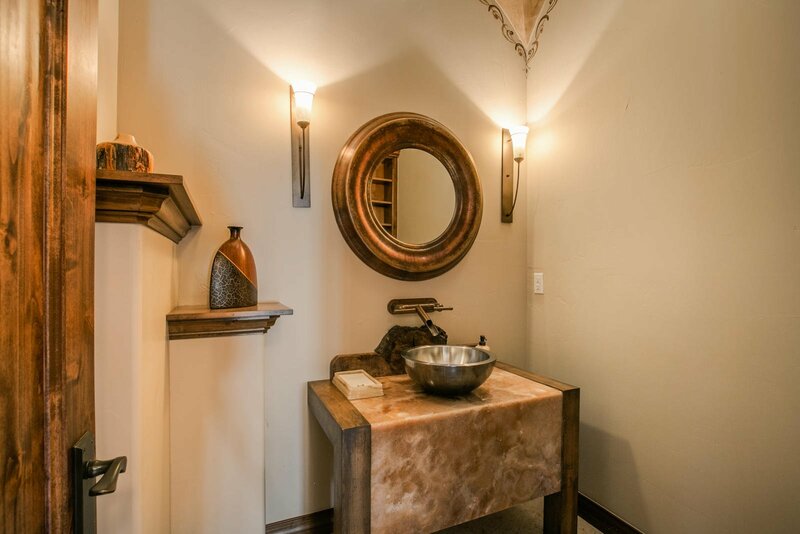 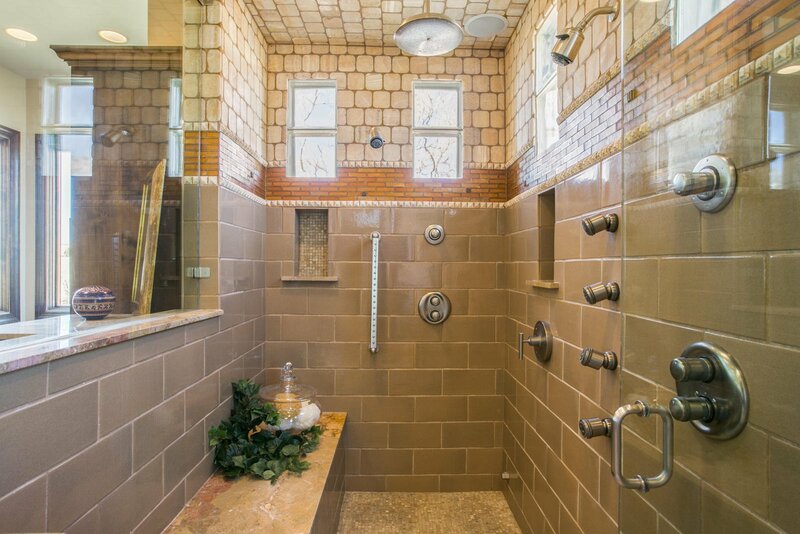 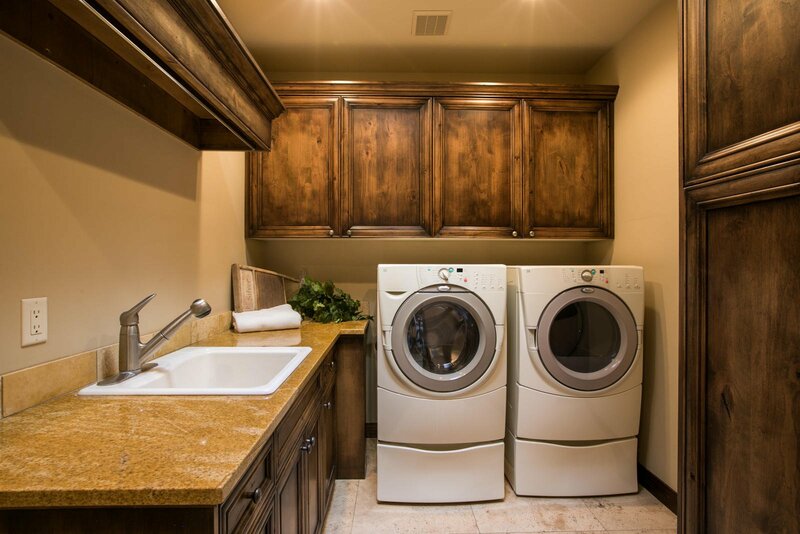 Unparalleled amenities in owner's suite and bath with steam shower and huge closet. 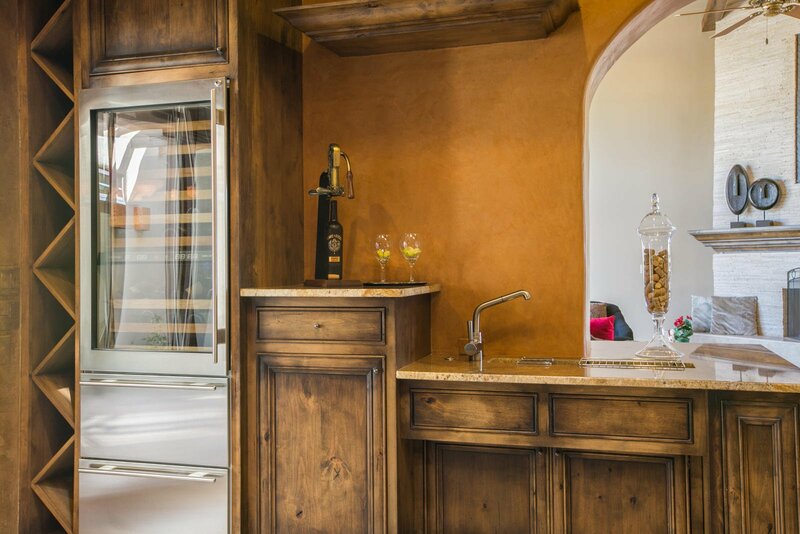 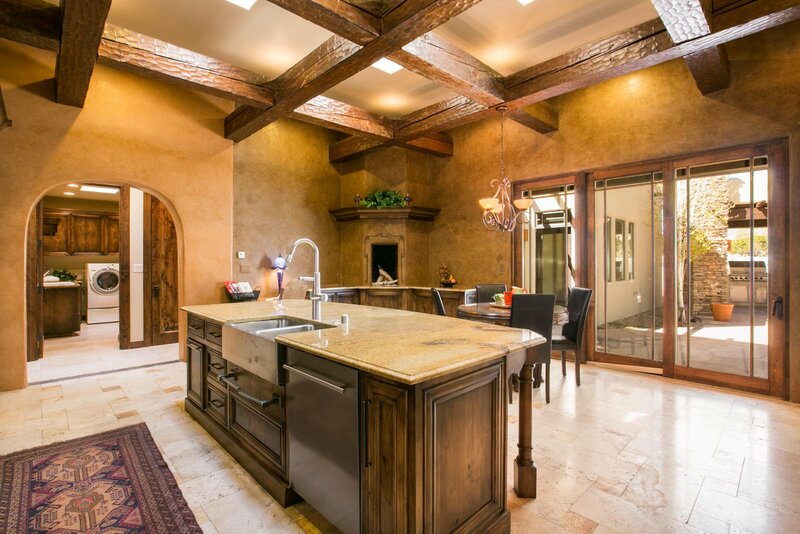 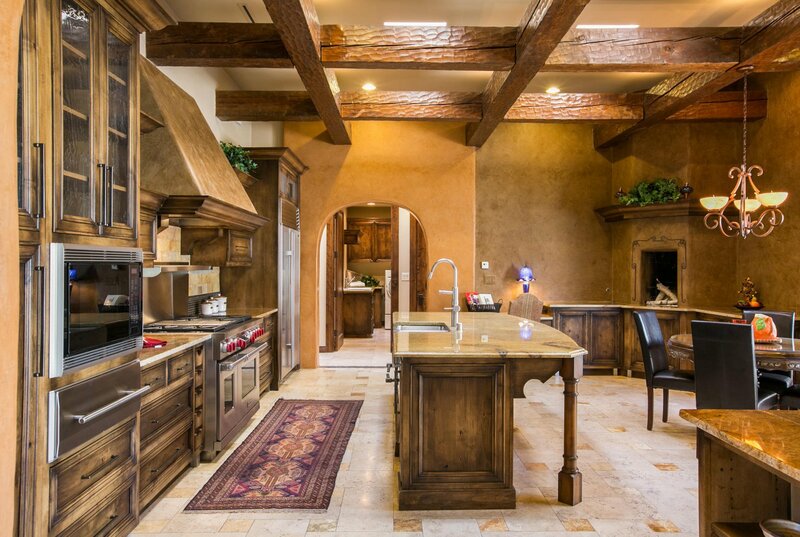 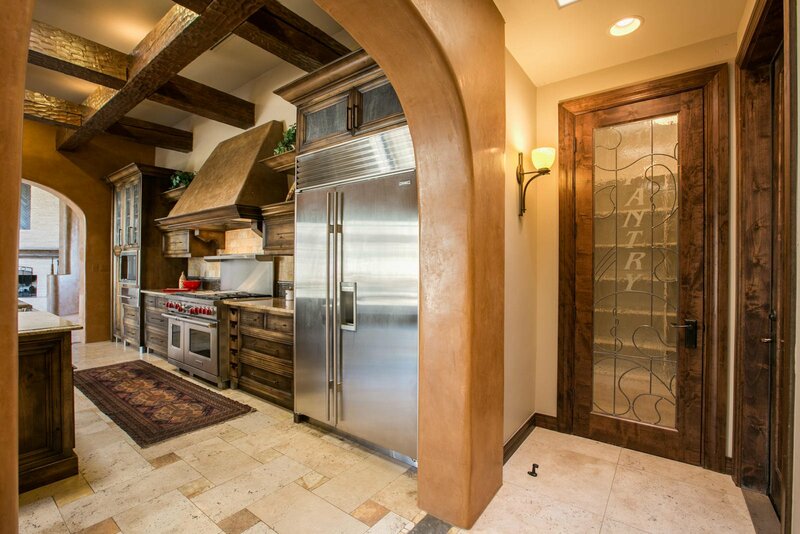 You'll never leave the kitchen when you see the hand hewn beams, Wolf and Sub Zero appliances, wine cooler with chilling drawers, fireplace etc. 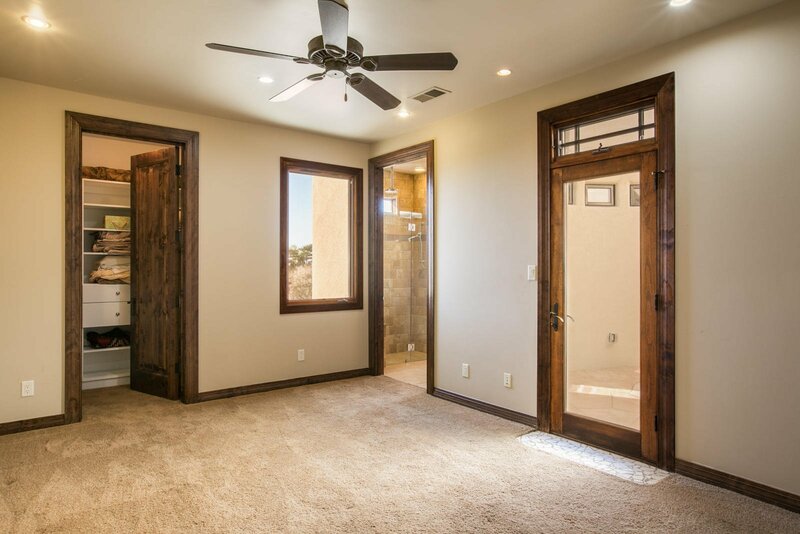 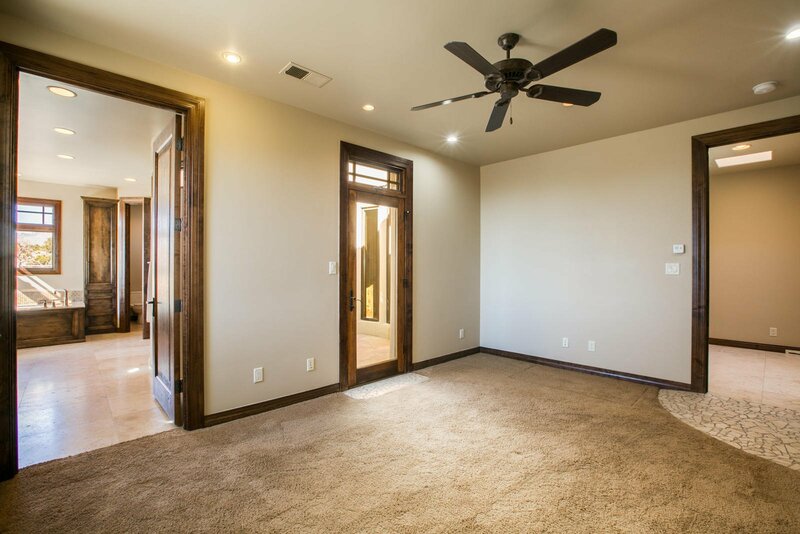 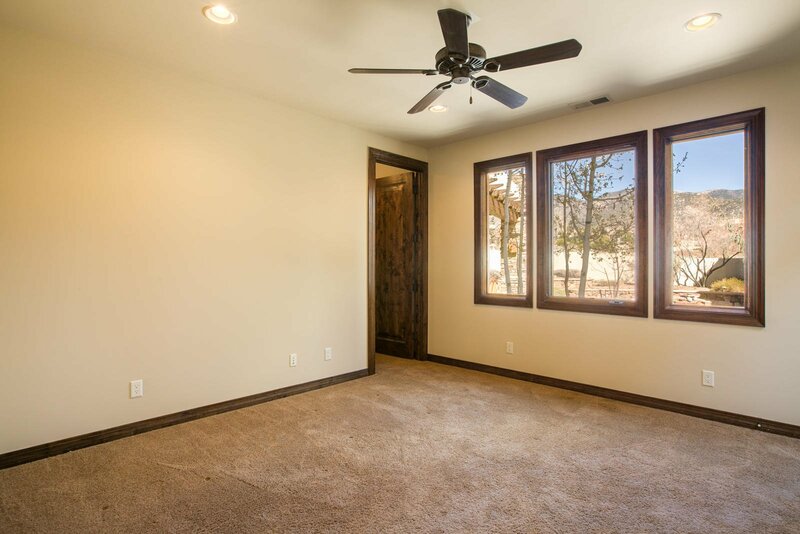 3 more bedrooms with stunning baths surrounding an open center patio. 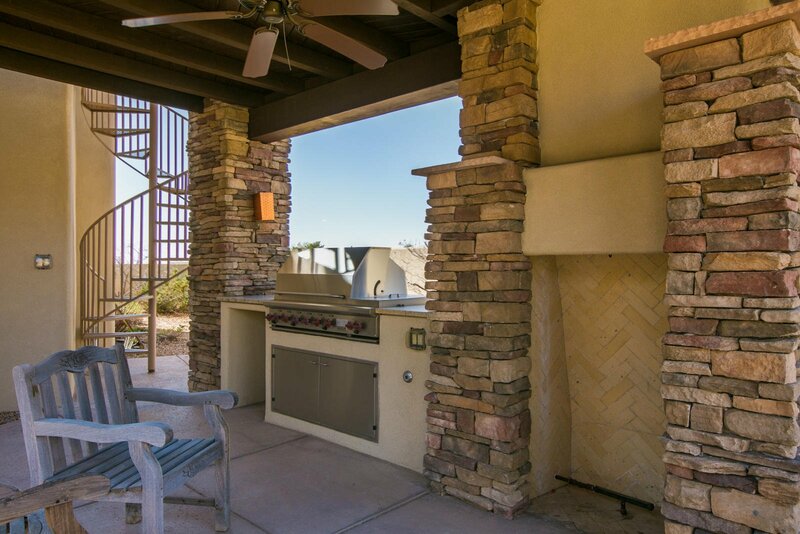 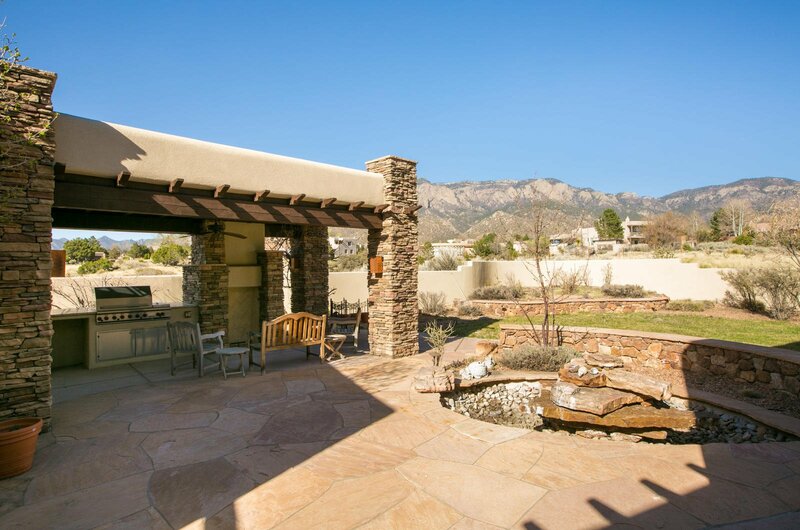 Enjoy the backyard, fireplace, cabana and Views!